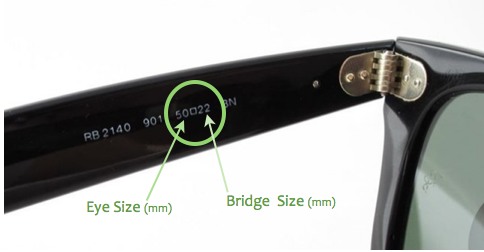 If you already own a eyeglass or sunglass frame, you can find your current frame size by looking on the inside of the sunglass arm. Eye size is always first, followed by Bridge size, and sometime Temple size. The vertical eye size is rarely on the frame. Note: If the size is not on the temple look under the bridge. In most cases a person’s eyeglass frame is smaller than their sunglass frame. However, if the styles of the frame are similar then the size might be similar. 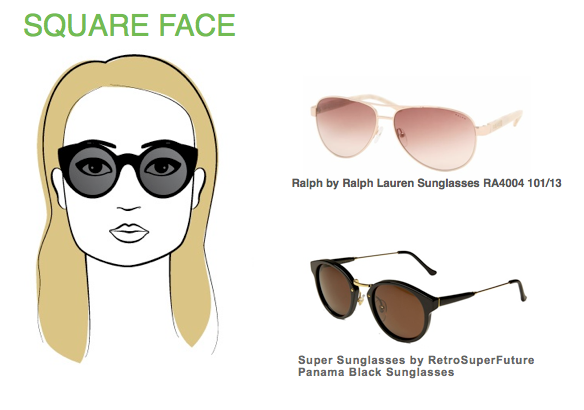 If the sunglass frame is a wrapped frame (has a curve to it) then usually the frame will fit a more wide-range of people. The easiest way to buy new frames, for sunglasses or eyeglasses, would be to use the size from a previous frame you’ve owned. Matching the size of your face (eye size, face width) with the sizes of glasses (eye size, bridge size, temple size) will ensure you pick a pair that perfectly fits your face. *Many glasses come in different sizes, so if you find a frame that fits you be sure to look on the inside of the temple to find the model number and the size to use as a guide for future purchases. 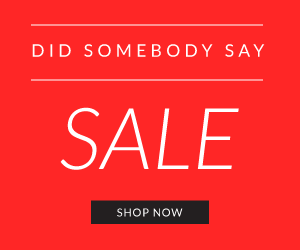 If you have a frame that fits you well then you can compare that size to sunglasses and frames we have at ShadesDaddy.com for the best size for you. 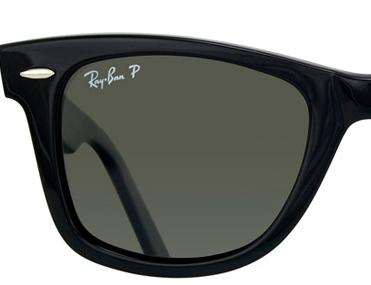 Are Ray-Ban Replacement Lenses on ShadesDaddy.com Authentic? 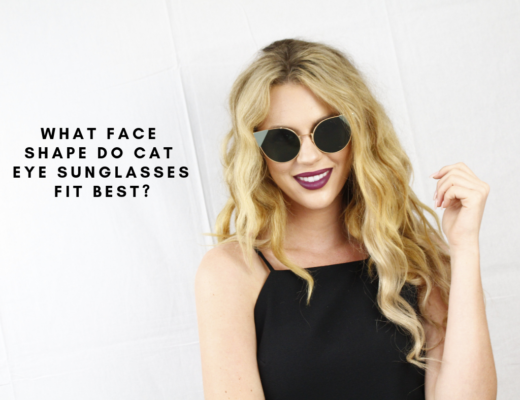 What Face Shape Do Cat Eye Sunglasses Fit Best?